As Yılteks Energy, our aim is always to produce the best with the best costs and to present it to our customers. 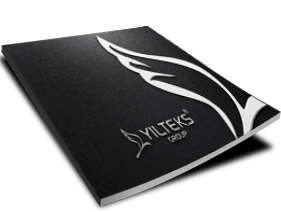 In this context, we are constantly expanding and expanding our brands and companies as Yılteks Energy, you can examine our brands and companies below. Please contact us for further information. As Yılteks Group, we provide service with our own brands in the oil, construction, energy, logistics, automotive sectors that we have formed in our company. Yılteks Energy established in Gaziantep, one of the leading industrial cities in Turkey, has been carrying on business in pressure vessels sector. Yılteks İnşaat has set out to produce outstanding housing projects and is a construction company that aims to build "the places where people feel happy and peaceful in themselves". Yılteks Logistics offers other services in the logistics sector such as international transportation, maritime transport. Yılteks Automotive has been established to provide services in the land, air, sea and construction vehicles and equipments sector with its wide sales network in national and international area. OPET, which is one of the leading fuel distribution companies in Turkey, is presented to the service of customer at the YILTEKS OPET with the service and product quality. Yılteks Bombe; To meet the needs of Yılteks Energy's dished head ends and to provide the best service to customer expectations in the field of dished head ends production, it was established to respond to the needs of the developing pressure vessel sector.